Salsa Sabor is a voluntary association formed by a group of salsa dancers passionate about sharing salsa with a focus on building New Hampshire’s Salsa Community. With the primary goal of introducing salsa to new people, we strive to provide a place for New Hampshire Salseros to dance without having to go into Masachusettes. We pride ourselves on maintaining a friendly welcoming community where all can come to learn to dance. 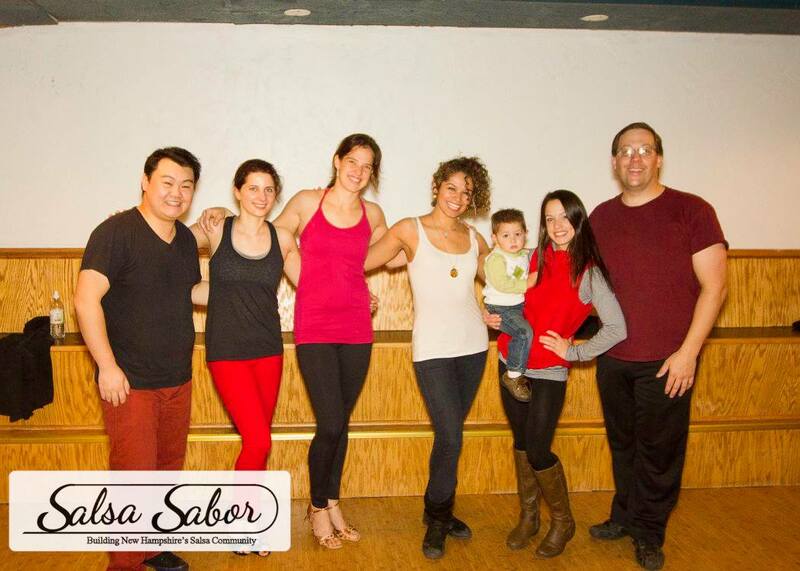 The members of Salsa Sabor volunteer their time and skills to bring you Copacabana Salsa Nights at the Milly’s Tavern. A free salsa night where people can experience a true salsa night out dancing here in Manchester, NH. We put on events like our annual food drive to support the New Hampshire Food Bank in November to further help the community. The membership is comprised of a group of experienced dancers, from different backgrounds, each volunteering their time and experience to bring salsa dancing to the community. Every Wednesday our Copacabana Salsa Night starts off with NY On2 club style salsa lessons from 7:45-9pm. Both a Beginner level (suitable for those new to salsa dancing) and an Advanced Beginner/Intermediate level salsa class are taught each night. On the first Wednesday of the month we host First Bachata Wednesday, with a progressive Bachata Lesson before the weekly salsa class in the 6:45-7:45pm timeslot. No experiences is required and no partner is necessary. All you need is the desire to try something new, the willingness to learn and ability to have fun to enjoy your night at Copacabana Salsa Wednesdays. Looking toward the future, we hope to build the salsa community by introducing new people to salsa dancing, offer more salsa nights/socials, have performance teams, and offer youth/student outreach programs to teach the next generation of dancers. Just confirming – will there be lessons this Wednesday night, 8/31, at 7:45pm at Stark Brewing Company? Yes we will be dancing this week, 8/31 at Stark Brewing Co. Hope to see you there!